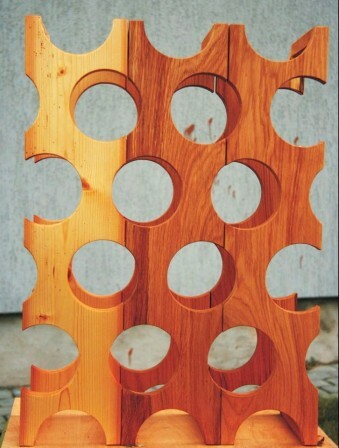 The patented design wine rack by VitWine! 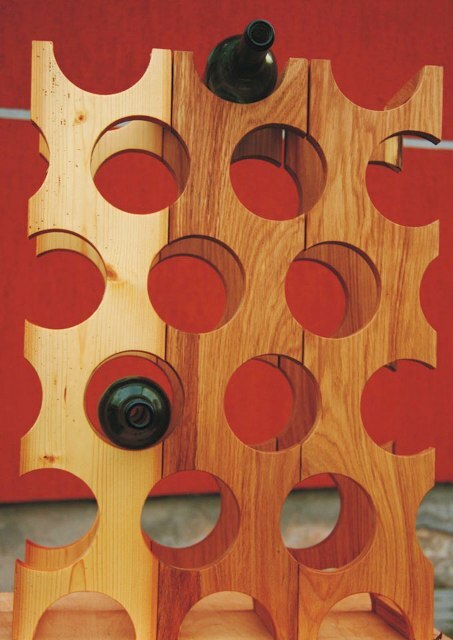 The original P3 wine rack by VitWine is made by combining three P1 wine racks with their sides. Wine and some cheese are friendly products. Therefore it is especially decent to store your wine in the rack resembling a piece of cheese! The P3 wine rack is functional, decorative and interesting – the rack’s design is developed combining the original P1 wine racks by VitWine, making this wine rack so much alike to the Swiss cheese. There is a room for 15 wine bottles of standard dimensions on the P3 wine rack. It can be the beginning of your collection of wine or a few especially loved sorts of wine. Continuing your collection of wine, it is possible to extend the dimensions and capacity of this rack, adding some more racks of the same design (P1 wine racks) both sidewards and upwards. Purchasing of this rack is not only an investment in the wine furniture, but it is also the investment in the product of unique design – the P3 wine rack by VitWine made of the P1 modules. 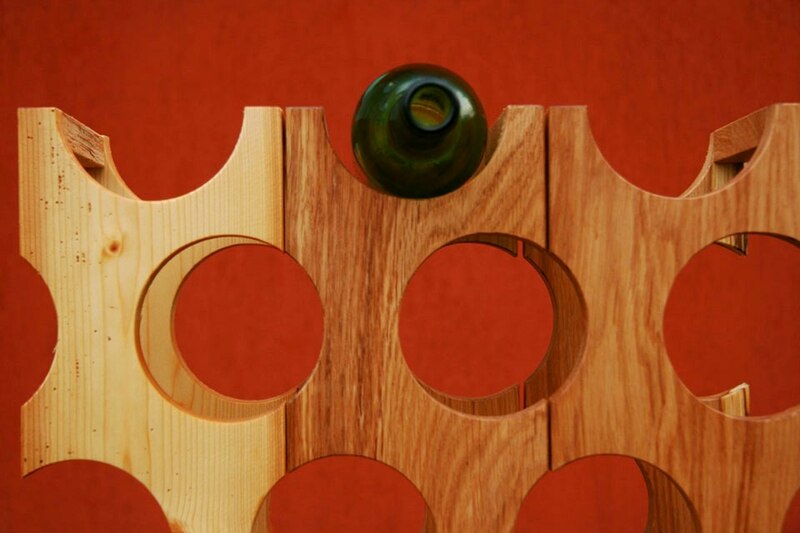 The wine racks of the product line by the VitWine design are made in the period of 3 – 5 days. The price does not include the delivery costs, VAT and customs fees, if the goods are delivered outside the EU. The delivery costs are calculated depending on dimensions of the order and the delivery address. The eco-friendly wine cabinet fits in the interior of my apartment surprisingly well. In addition I have also purchased a small wine rack to keep my bottles of wine when my guests are coming. I am very much satisfied with the functionality of the wine furniture by VitWine! Thank you very much for the creative solution in the interior of our wine cellar! VitWine really works in a very professional manner with an individual approach for every customer. Recently VitWine manufactured our first wine cabinet. We are glad that we can continue collecting wines properly! We deserve it for a long time!